Facebook – the biggest and most popular social networking site on the internet. Everyone is making an account on Facebook and updating status, places and images on regular basis. Be it businessman, school kids, college kids, old persons, musicians, marketing guys – you can found them on Facebook for personal and professional use. Most companies think that Facebook Fanpage is as essential as having a website these days. There are various Facebook apps and tools that solves various purposes of users like marketing of business, market your music bands, playing games and much more. You can find thousands of applications as per your need and it can be for business or for your hobby purposes. Even we had picked various best Facebook apps for Music lovers and musicians, essential business apps for successful company Fanpage and over 100+ other Facebook productivity apps and tools. But, Facebook is not only for business purpose. Facebook can be a medium for children to relax their mind after schools, fun place for youngsters in free time and a solution to cool the mind after busy office schedule for others. You must be thinking how can that be possible! Well, there are hundreds of Facebook Games that you can play to relax your mind after a busy schedule after school, college, office or in your free time. 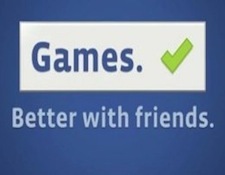 There are various games on Facebook for users of every age group. So, in this article, we have handpicked 30 highly addictive games on Facebook you would love to play.